February 6, 2019, the clock reads 54:08. Bengaluru FC 0 - 2 Kerala Blasters. Under pressure, BFC goalkeeper Gurpreet Singh Sandhu, receives the ball. Sixteen seconds and seven passes later, Sunil Chhetri forces a smart save from Dheeraj Singh at the other end. In that time, the ball has rarely lost contact with the Kanteerava grass. The move will only be recorded as a shot on target in a match that ended 2-2. It may not even make a tightly packaged highlights reel. Why, then, was that brief passage of football so important? Because the ball was always in Bengaluru's control. They could easily have punted it long and hoped to chase it down. But they chose not to, because they understood the advantages of not losing control. That's where Spain comes in. You see, the move may have been played out in Bengaluru, but it had been born in Barcelona. Over the years, Indian football has seen its fair share of foreign imports. West Asians and West Africans (particularly from Iran and Nigeria) have been stars across the Indian leagues since the 80s while there was an influx of Brazilians in the early 2000s during the days of the erstwhile National Football League. In the recent past, though, Indian football has seen a wave of athletes coming in from a hitherto unfamiliar market - Western Europe. Especially Spain. Since 2012, 74 Spaniards have plied their trade in India, 31 of whom are still active across the ISL and the I-league. 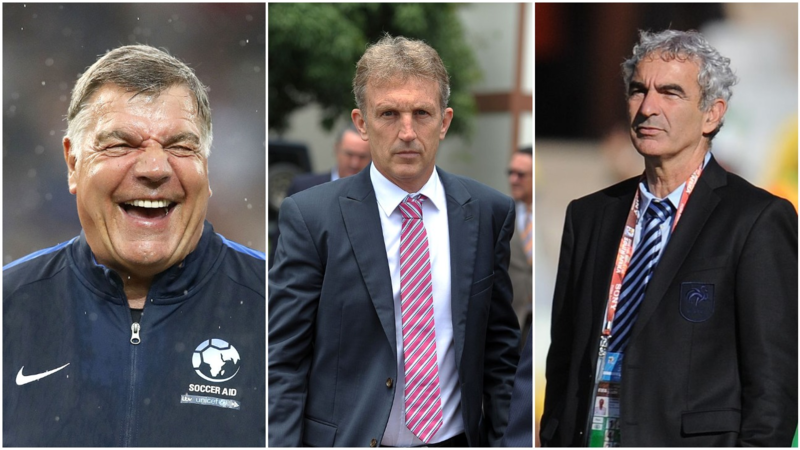 Six of the 21 coaches in the I-league and the ISL currently are Spanish. Very few nations have had such a massive presence in the top tiers of the Indian game. Carles Cuadrat, Bengaluru FC's head coach, spent a decade as a youth team player in 'La Masia', the famed cathedral of the Barca-Ajax ball-worshippers, and returned there as an assistant coach -- a job he did for a further decade before becoming a part of Frank Rijkaard's staff with the senior team for two years. He took over this season from his former boss Albert Roca, a man with much the same credentials. That move in the 55th minute of the Blasters game -- like the innumerable others we've seen all season from the ISL leaders -- wasn't an accident. "In football, we try one very, very simple thing. Three-four short passes to attract the opposition to the ball, and taking advantage of the space that's created behind them," says Cuadrat. "Of course, that's not my invention. It's something very common in football. "On the pitch you have to take decisions when your heart is going at 180 rpm, when there's a lot of passion - so it's not easy for the players, but I am really happy [they stuck to the plan]." As well he might be. After all, it's for exactly implementing this style of football that Cuadrat -- and Roca before him -- were brought to Bengaluru. In neighbouring Goa, another La Masia product, Sergio Lobera, was brought in by FC Goa to do much the same. To play possession football. To entertain. To believe in the youth. To aid in the Barcelona-fication of the club, as it were. And he's done that - and more. Lobera believes he owes his success to the freedom that his board has give him to develop the "project". It's for this, he says, that he left Spain for opportunities elsewhere. "First of all, before leaving Las Palmas, I beat the record of being the coach with most appearances for that club in the last 18 years, and that was only two seasons. That reflects the instability that exists in Spanish football with the coaches. I think in football these projects have to be rolled out by people who know this business," he says. "I think in India, there is more respect for the coach's job. Before taking any decision, I flew here to Goa to meet the president, the board, the people I was going to work with. Everything I saw, I was delighted. I thought it was the perfect environment to develop my job," he says. Cuadrat, a man with a more pragmatic outlook on life, and football, agrees - up to a point. "When we started out, we went eight games without a win and had a lot of meetings with Mustafa [Ghouse, CEO] and Mandar [Tamhane, Technical Director]. They told us 'don't worry, we believe in you and what you want to do'," he says, before adding with a laugh, "I have heard a lot of stories about presidents in India, so I don't think it's so different [from Spain]. Some clubs yes, but others... In the ISL we are ten teams, and we've had two coaches sacked - that's international [standard]." Both BFC and Goa, though, have stuck with their coaches, their projects, and appear willing to back them for the near future. What is this Spanish "way" of playing football? Cuadrat's eyes light up as he recalls just how his nation went about revolutionising their domestic system. 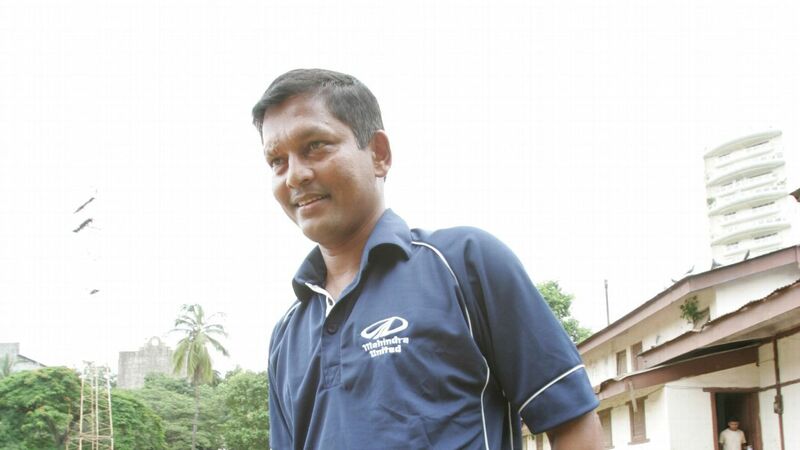 "Back in the '80s, we were all set to play Sweden in the U-16 Euros. We were in the tunnel, and we saw these guys. They were like two metres tall and we thought, 'what are we going to do'. In the end, though, we beat them 4-0," he says while bursting into laughter. For Cuadrat, the point that anecdote illustrated was simple. "We, the Spanish, are not tall people, especially in comparison with the rest of Europe. So to beat them we had to improve in other ways." For far too long, he says, Spain had tried to copy the rest of Europe - especially during the '70s and '80s - bringing in tall foreigners from England, Germany and playing direct-ball, till the penny dropped. "We decided, let's try something different, a passing game, the kind of game you now know as 'tiki-taka'," he says. By the late 2000s, Spain and Pep Guardiola's Barcelona had conquered all in front of them, and had wooed the world. Now, everybody wanted to play like them. But could India do the same? Are Indian footballers good enough to play the 'Spanish' way? 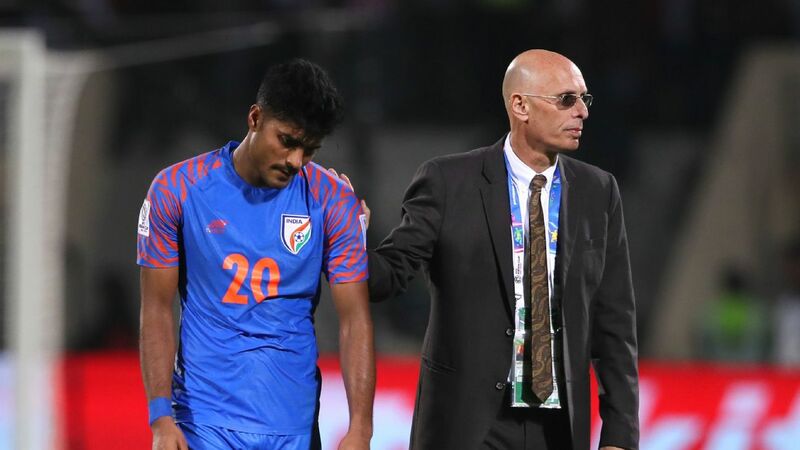 "I think instead of criticising Indian footballers, as coaches we have to start asking ourselves to put more effort in teaching them," he says. Training sessions at the Bambolim stadium outside Panjim focus on making the players comfortable on the ball -- one of Lobera's favourites is to go half-court and have one team of 11 one-two-touch pass their way out of a manic high press from the other 11. Goa's Chinglensana Singh, for one, loves playing under Lobera. "[Spanish influence] is good, of course. I learn a lot from these guys. 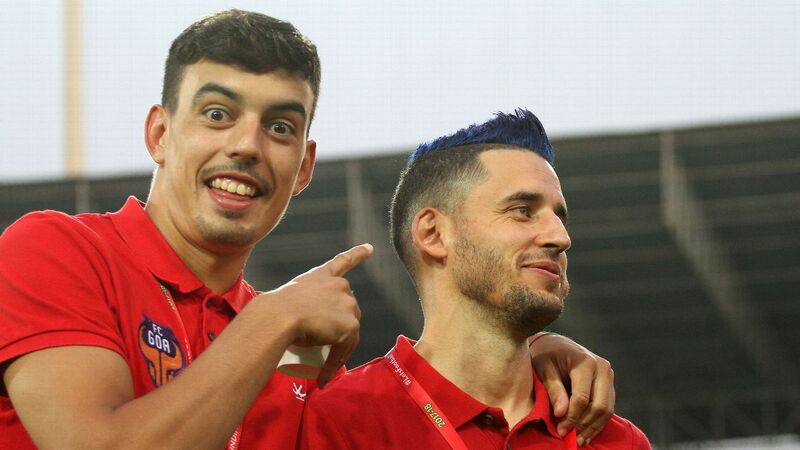 Whether it's in the dressing room, on the pitch in games, or training," he says before explaining how Lobera's trust in his footballing abilities enables him to fearlessly play out of the back, to take risks, to learn. Over in Bengaluru, meanwhile, Cuadrat sometimes has his charges play 7 v 7, one team defending a one-goal lead, the other asked to go hell-for-leather to equalise -- both teams are forced to achieve their objectives while sticking to the 'plan'; a combination of short-and-long passes, the ball always in control. This, according to him, ratchets up the intensity. "My aim is not just to teach them control-pass, control-pass," he says as he explains how he works on the athleticism of the players, increasing endurance and with it the frequency of high-intensity contributions during matches. He believes the similarity in physiques of the Spanish and the Indian players means "we really know how to come here to India and coach players like Nishu [Kumar], Udanta [Singh]... even [Sunil] Chhetri." The more Indian players are subject to coaching of this standard, with demanding team-mates who don't accept anything less than 100%, the more it rubs off on them, the more confident they get on the ball. For Cuadrat, this improvement has been evident. "I have seen a very, very, high evolution. The players are really improving. And it's not just youngsters like Udanta, it's veterans too. For example, look at how [Harmanjot] Khabra was playing before he arrived at the club and how he's playing now." Lobera and Cuadrat's impact on the players they are coaching has been tangible, but it's easy to forget just how late they joined the party. Indian football's association with Spain started only as recently as 2012, when agent Kuldeep Sharma (founding partner, Soccer Consultants Group LLP) negotiated Sporting Clube de Goa's hiring of Oscar Bruzon. Kuldeep also brought in defender Angel Berlanga and forward Juan Francisco Garcia Pena (Juanfri) to the club. 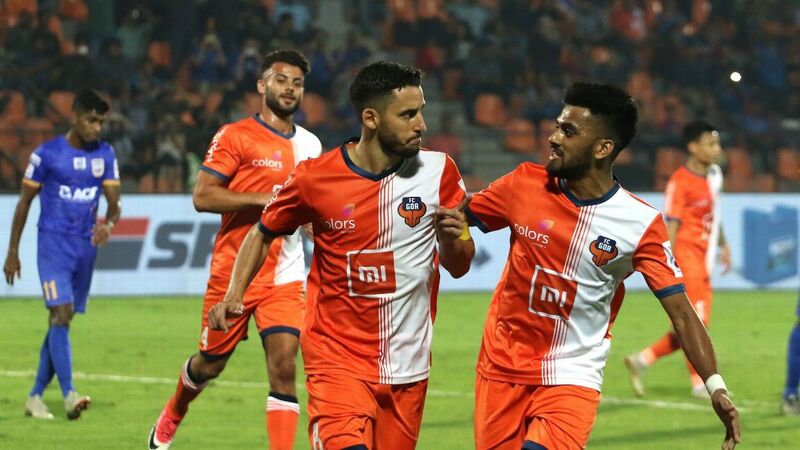 Neither had much of an impact in the I-league, and Bruzon's two-year tenure saw Sporting finish sixth and fifth in the league - but mediocre results aside, Spanish football had gained a foothold in India. Kuldeep thinks of that as one of the biggest challenges he had to overcome in those initial days - convincing Indian clubs that "first-world" footballers were actually helpful to India. "The main problem was that the club didn't believe that Europeans could play in India because of weather conditions. It was still the I-League days, so the salary scales were lesser, the infrastructure was much less developed, and the playing conditions... phew. The matches were still taking place at 2pm in the afternoon under 35-degree heat and 85 percent humidity... these are tough conditions," he says. But they adjusted, and he credits Sporting for the way they treated their Spanish imports, giving them the space and freedom to assimilate with the Indian conditions in their own time. The following year, Pune FC brought in Raul Fabiani, while Sporting got in two more Spaniards - Arturo Navarro and Gonzalo Niela -- and soon the influx started. While the quality of the Spaniards was undeniable, and that increased their demand across clubs, there are several reasons behind them leaving a "historically closed society", as Kuldeep calls it, and venturing to footballing backwaters like India. One of the main factors, he says, was the financial crisis that hit Spain hard during the turn of the last decade. "The players from the second, third and fourth divisions were suffering a lot financially. So it was possible to attract talent of very high level at very reasonable value," he says. The situation was so bad that Spain's footballing authority had to intervene and impose wage caps and minimum salaries for players. In 2014, the Official Spanish State Gazette confirmed that La Liga players should receive at least €129,000 a season and second division players must be paid at least €64,500. While exact numbers are not available to compare them year-by-year, sources suggest that a Spaniard moving from one of his nation's lower leagues during the early days of the ISL would have made anywhere between 40% - 100% more than what they would have made back home. As per published data from the ISL last year, the highest-earning Spaniard made in excess of €380,000 while the lowest earners made €85,000 a season. Edu Bedia, Goa's insouciant waif of a playmaker, agrees that until around five years ago, financial problems plagued Spanish football domestically but gives an added bit of insight as to why he sought to ply his trade outside Spain -- the unrelenting pressure back home. "I was tired of some things that were happening within the system," he says. "The pressure that all the players in that club are under, it doesn't match the quality of the club. I mean, if you're playing in the first division, I understand - but at our level, that kind is abnormal. As a football player, you have to get used to it, and I do love playing under pressure, but not that kind. It's tiring playing under that kind of [incessant] pressure. "The situation is a lot more stable now, but around five years ago there was a lot of payments pending and the players were playing every weekend under a lot of pressure -- without even getting paid." For Cuadrat, neither money nor pressure was the clinching factor in his - and Roca's - decision to move out of Spain. It was competition, and the inherent advantage an elite few worked with. "In the European market, there are a lot of coaches, and there are a lot of former players with big names that get the top teams like Zidane, Guardiola, and Henry." He says this without bitterness, but there's a hint of resignation in his voice as he continues, "We have to understand that it's part of the business. Normally for a former player who is not a big name, the way to arrive in the top leagues is by working yourself up the lower divisions." Since Cuadrat started his coaching career as part of Frank Rijkaard's team at Barcelona before travelling with him to Galatasaray and the Saudi Arabian national team, he and Roca chose to stay at the top rather than go into the tangled underbelly of Spain's lower divisions and work their way back up once again. It's for similar reasons that Juanan, BFC's first Spanish player-import, left his country (to join Fortuna Dusseldorf in Germany initially). "I joined Real Madrid B when I was 21. And I was there for two years. In the third year, I felt this is not good, because you are only playing with young players," he says. B team or not, it was Real Madrid, but that wasn't enough. He wanted to move up divisions, compete for trophies. The economy back home is recovering, but the Spaniards seem to like what they see in India, as more of them continue to follow. Edu's mind was made up when he got the FC Goa offer: "I didn't know anything about India, the ISL, or FC Goa. The only thing I knew was that there was one Spanish coach in the team, and that his idea of football is the same idea of football that I like." 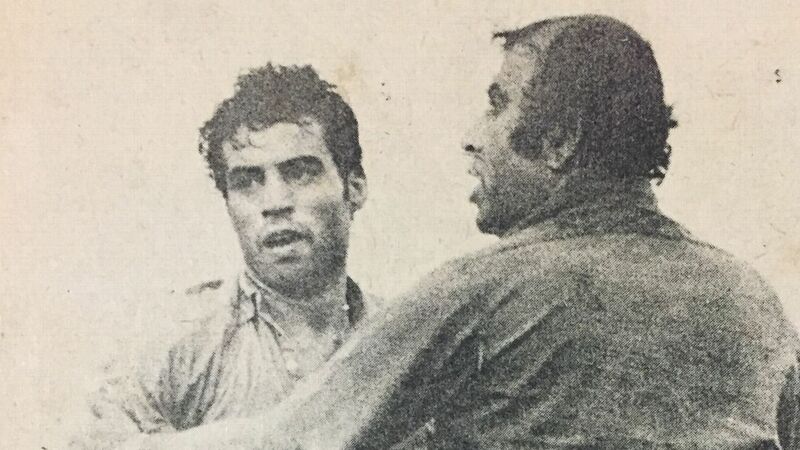 Ferran Corominas, Coro -- the ISL's all-time leading top-scorer despite being here only two years -- echoes his team-mate's thoughts about the presence of a Spanish coach. "It really made my mind up. I spoke to him and he explained really well what his idea was, and what his philosophy was and that really attracted me," he says. "It's a factor of having more and more Spanish players and Spanish coaches," he adds, pointing out that the number of Spaniards in India is increasing. Of course, this doesn't mean that the cream of the crop will be rushing to join Coro and Edu in the muggy heat of the Fatorda - "I think for the younger players to come here, it would be difficult," Coro says. "I think ISL attracts another profile of player - one who's 27, 28 and above." Kuldeep agrees. "We can only get players who know that they will never make it to the absolute A-plus, the first division," he says. Money. No pressure. Escaping competition. No A-listers. We've seen it before... retiring pensioners travelling to a nouveau riche league in a faraway exotic land, lounging around sipping on cocktails before heading home, laughing all the way to the bank. Naturally, then, the question arises -- are they all like this? Are these Spaniards any good for Indian football? There have been several duds, of course. Adrian Colunga was an expensive import at Goa, but fell out with the coach and barely played. Braulio Nobrega was one of BFC's rare disappointments last season. Another one of those Barcelona youth coaches that proliferate the world's industry, Fernando Valera, was appointed -- and then sacked -- during the 2018-19 pre-season by Gokulam Kerala. This is to be expected. Spain does not have a magic formula that makes all their footballers and coaches succeed everywhere. Individual application is very much a part of the process. But there have been enough success stories already to feel optimistic about this connection. A couple of seasons ago, a 37-year-old Alvaro Rubio came from Valladolid to guide a Roca-managed BFC to a historic AFC Cup final. Coro is arguably the best player in the country at the moment. Edu and BFC's Dimas Delgado are the kind of players who can control the tempo of any match they play. Pedro Manzi and Sandro Rodriguez are among five Spaniards who have helped Singaporean Akbar Nawas turn Chennai City from I-league relegation contenders to league leaders. Alejandro Menendez has East Bengal playing an easy-on-the-eyes game that has kept them in touching distance of leaders Chennai, and has brought the crowds pouring back into Salt Lake. Of the seven top scoring teams across the I-league and the ISL, Spaniards manage five. One of the others is that Chennai City team with their armada of Spanish players. They may be here to make money (as professionals, who can begrudge them that? ), or to escape the stifling pressure of expectations back home (the same), but they are playing a significant role in the domestic game in India. And they're making themselves at home - Juanan is so enamoured with India and its culture that he has a tattoo of Lord Shiva and Ganesha on his right shoulder. His family isn't with him in India at the moment, but that isn't the case for the majority of his compatriots. Insiders say that sets them apart from other expatriates, helps them settle better, helps them get more involved, and think more long-term. "I don't think I will change country, or city [for the remainder of his career], because when you are happy, why change?" Juanan asks. As Cuadrat explains the demerits of the football system here - the youth system is too easy and his BFC B team doesn't face enough competition, making it harder for him to bring them directly into the senior team - he also puts his hands up and says, "unfortunately, I don't have the plan to say 'India, do this'." But as he speaks about the success story of Spain, there's a valuable nugget hidden inside. "Our plan, to play our own way... it didn't work with the snap of the fingers. We were not winning immediately," he says. "The guys that are now 50-odd years old, we didn't become European champions. But this golden generation -- Xavi, Iniesta, Silva -- they won because behind them were 30 years of hard work, practice, and commitment." If Indian football learns but one thing from their Spanish expatriates, may it be the value of perseverance: Put in the hard yards now, and football will reward you soon enough.